As you know, I’m a graphic designer. I love creating! So, as if it I wasn’t busy enough I also do freelancing on the side. Here is some of my work. 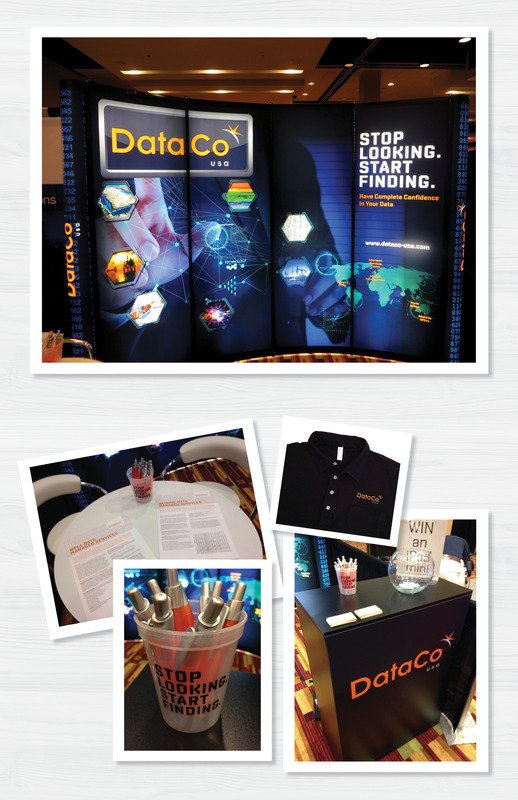 This is one of my favorite projects that I did for DataCo USA-Houston. I created a backlit pop up display graphic for the PNEC Conference. We also added their logo and tagline to a few different items like polo shirts, cups and pens. Here is an eBrochure that I created for all of their services. Check out some of my portfolio pieces. You can also find me on RAWHouston here. Go support RAW artist and buy a ticket for the event. It’s loads of fun!